Early Sunday dinner with girls at Markt in Chelsea. 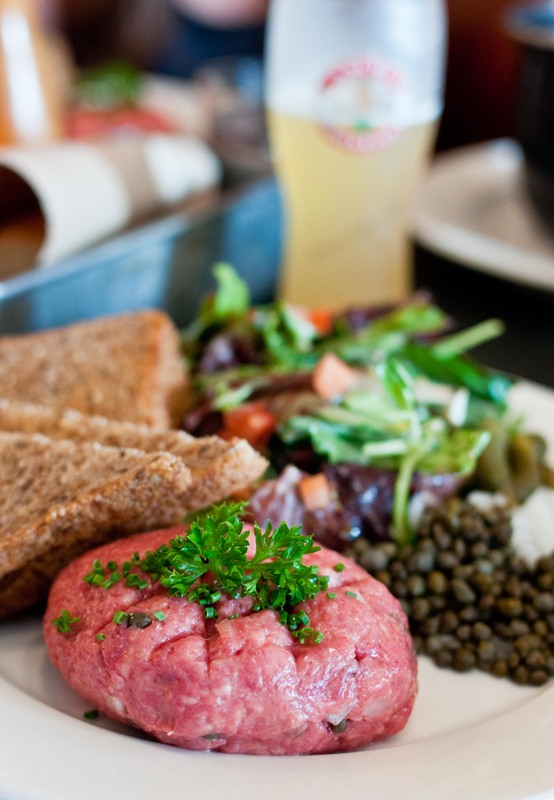 A glass of ice cold blanche de Bruxelles with a plate of beef tartare and a side salad was just what I was craving. The beef was milled finely and all fixtures including Worcestershire and hot sauce were served on the side to add to my own liking. A delicious light dinner for Sunday – funny how we sometimes forget the places that are right around the corner.